HOBOKEN, N.J. 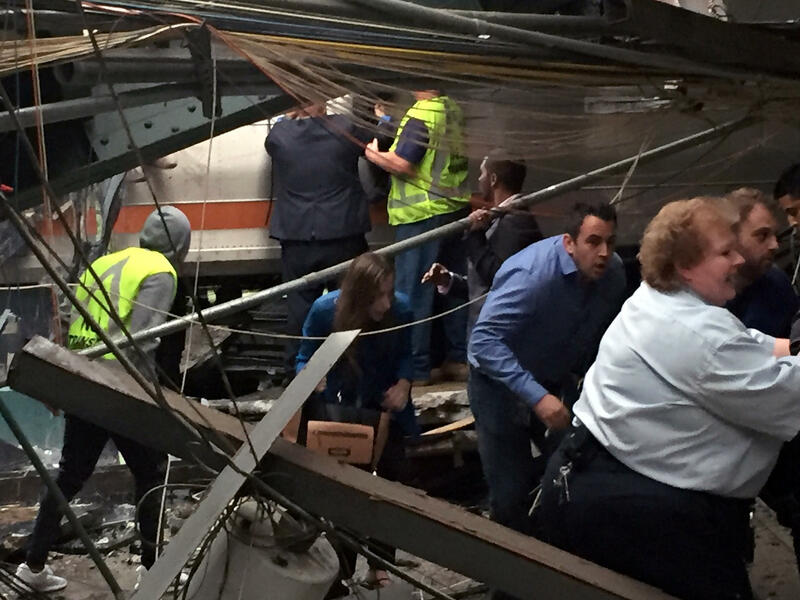 The engineer at the controls of the train that smashed into a commuter rail terminal, killing a woman and injuring more than 100 people, told federal investigators he was going only 10 mph as he approached the station but has no memory of the crash, federal investigators said. The statements from the engineer, Thomas Gallagher, came as investigators learned that an event data recorder that was supposed to record the New Jersey Transit train’s speed and braking information wasn’t functioning, according to the National Transportation Safety Board Vice Chair T. Bella Dinh-Zarr. Investigators haven’t been able to extract a second datarecorder, located in the cab control car in the front of the train, because it is under a collapsed section of the station’s roof. Federal regulations require commuter trains to have a working recorder in the lead car, according to Jim Southworth, the NTSB’s lead investigator for the crash. The 48-year-old train engineer told federal investigators that he remembered blowing the train’s horn and looking at the speedometer as he pulled into the station and said the train was going 10 mph, Dinh-Zarr said. But, Gallagher told the investigators that he had no memory of the crash and only remembered waking up on the floor of the engineer’s cab, she said. The signals on the tracks leading to the train terminal appeared to working normally and officials have so far found no track problem that would have affected the train’s performance, the NTSB said. Investigators also obtained video from other trains in the station, but found nothing of value, Dinh-Zarr told reporters. As commuters got back to the Monday grind, crews at the Hoboken terminal continued demolition, working to get closer to the second data recorder buried beneath debris. Months before Thursday’s deadly train crash, federal rail officials found dozens of violations during an audit that focused on NJ Transit’s safety and operations, a U.S. official told The Associated Press. The official, who was familiar with the Federal Railroad Administration audit, wasn’t authorized to speak publicly about an ongoing investigation and spoke to the AP on condition of anonymity. The audit was launched after the federal regulatory agency noticed an uptick in rail incidents and found “dozens of safety violations” that needed to be fixed immediately, the official said. The commuter rail agency was fined as a result. A spokesman for NJ Transit hasn’t responded to requests for comment. “It’s very disturbing to learn that a data recorder pulled from the crashed NJ Transit train in Hoboken wasn’t working. This is inexcusable,” he said. Information from the Federal Railroad Administration shows that NJ Transit has settled 183 safety violations - ranging from employee drug and alcohol use to violations of railroad operating rules or practices - since Jan. 1, 2011.